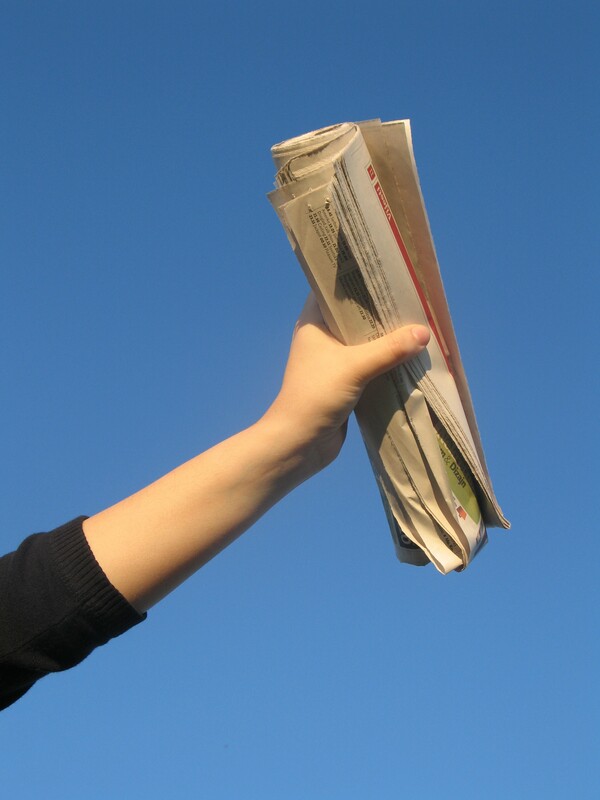 Here at FSE Online Ltd we have always been strong believers in working closely with our local newspapers. While most online marketing agencies and business owners believe they offer little value, tend to be too expensive and have ‘had their day’, we beg to differ. All credible newspapers (local and national) now have an online news portal which will be considered very powerful in the eyes of Google and other search engines due to the fresh news content that is constantly being added and updated to the site. It’s by utilising both the physical and online presence of the publication that you will get real value from working with your local newspaper. We ourselves have worked closely with the Essex Chronicle and The Brentwood Gazette for almost 6 months now and see no sign of this arrangement ending anytime soon. Thanks to the excellent relationship forged between ourselves and these newspapers we have significantly increased awareness of our company in our local area and boosted our online performance. For example, anybody searching the keyword “SEO Essex” on any variation of this keyword on Google will see our website sitting comfortably in the top 3 listings which has obviously resulted in us receiving many more enquiries. So how come simply publishing a monthly business column designed to give advice to local business website owners has had such a positive impact on our SEO performance? Well below are 5 reasons why you should be considering working more closely with your local paper. An advertorial is basically a form of advertisement in the form of an objective article that is created to look like a viable news story. This is a great way of catching the eye of someone who is potentially interested in your company, service or industry. It’s also a good way to promote your business without using a hard sales advert that people find a lot easier to ignore. If the content is unique, fresh and engaging you will be more likely to generate more interest in what you have to offer. Related: What’s In Our SEO Toolbox? Most newspapers will now manage an online business directory. The Essex Chronicle themselves have a very powerful online directory that receives a lot of traffic every month. Having your business listed on these directories will help bring traffic to your website when people are searching for a product or service that your company provides. Most offer basic and featured listings and the listing type you choose will really depend on the industry you are in. For example, a niche service provider such as a renewable energy company will have very little need for a featured listing as competition will be low, whereas a wedding photographer would be well advised to consider a featured listing, as there is bound to be more demand for these services in the local region. While adverts and banners are a more traditional way of advertising, they are still a great way of catching the eye of your readers both on and offline. They can be used to promote a range of products and special offers and their benefits don’t stop there. Having an online banner can once again drive lots of traffic to your website and if your website is engaging enough they will be more likely to stay and make a purchase or enquiry. With social media becoming the beast that has in the recent years you will not be surprised to hear that many newspapers now have well-established social media pages with lots of followers and likes. For example the Essex Chronicle & Brentwood Gazette’s Twitter accounts have over 13000 twitter followers between them. Just having these accounts sharing your story by mentioning your business or website can have a massive impact on your online presence. This fifth and final point is without doubt the most important of all the points mentioned in this post. When sharing your content online it’s extremely important to secure powerful links to your website. While it is indeed true that Google and other search engines take into account many factors when determining how to rank each and every website, the bottom line is that the most influential of these factors is still and will always be links. Search engines are much more particular about where these links come from and will give little relevance or authority to a website that has lots of links coming from poor quality, irrelevant websites hosted on the other side of the world. Through working with your local newspaper and building the right kind of relationship, you will be able to arrange a string of contextual links from a highly authoritative website that will carry more value than a thousand poor quality ‘traditional’ links similar to those on offer from budget link building companies. So were you one of the many people out there who thought working with your local newspaper was an expensive waste of time? Yes? Then think again! The fact is, online marketing and traditional marketing should no longer be considered two separate entities as their paths become more and more entwined. We are moving towards a world where you cannot be successful in one area without investing in the other – and the sooner website owners realise this, the better!